15% off promotion is only valid from 5/3/2018 – midnight of 11/3/18. No promo code required. Subject to availability. This offer includes ALL Dog Accessories, excluding the Fido Studio and Fido Classic Dog Crates. Omlet ltd. reserves the right to withdraw the offer at any point. Discount cannot be transferred to delivery or courses. Offer is only valid on fully priced items and cannot be used on existing discounts or in conjunction with any other offer. The Brinsea Ovaview Candling Lamp magically reveals what’s happening inside the egg as the baby chick develops. Childrens will be amazed to see the chick begin to appear from a little dot, through to the heart developing and right up to before it hatches out. Free Candling Lamp Offer is valid from 28/2/2018 for a limited time. 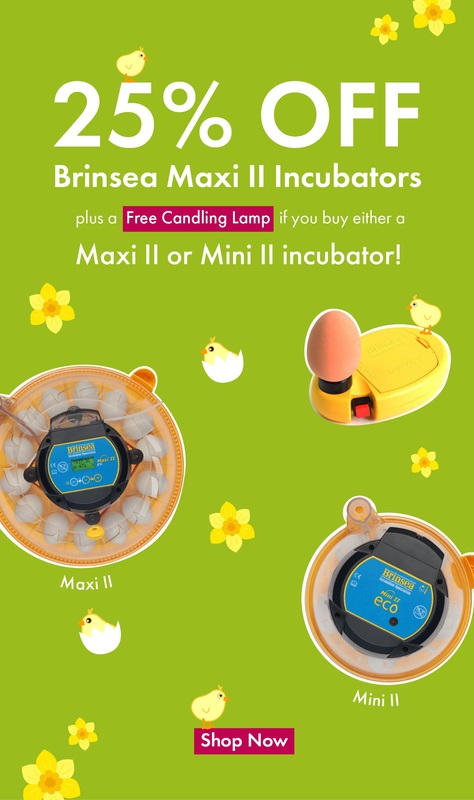 Free candling lamp (worth £22.00) is only valid when buying the Brinsea Maxi II range or the Brinsea Mini II range. No promo code required. The free gift will automatically appear in the shopping basket when the incubator is added to the basket. In addition to this, there will be 25% discount off the Brinsea Maxi II Ex and Brinsea Maxi II Eco Incubators. The prices have been discounted on the website. Subject to availability. Omlet ltd. reserves the right to withdraw the offer at any point. Offer cannot be used on existing discounts or in conjunction with any other offer. There’s only 23 shopping days until Christmas…. 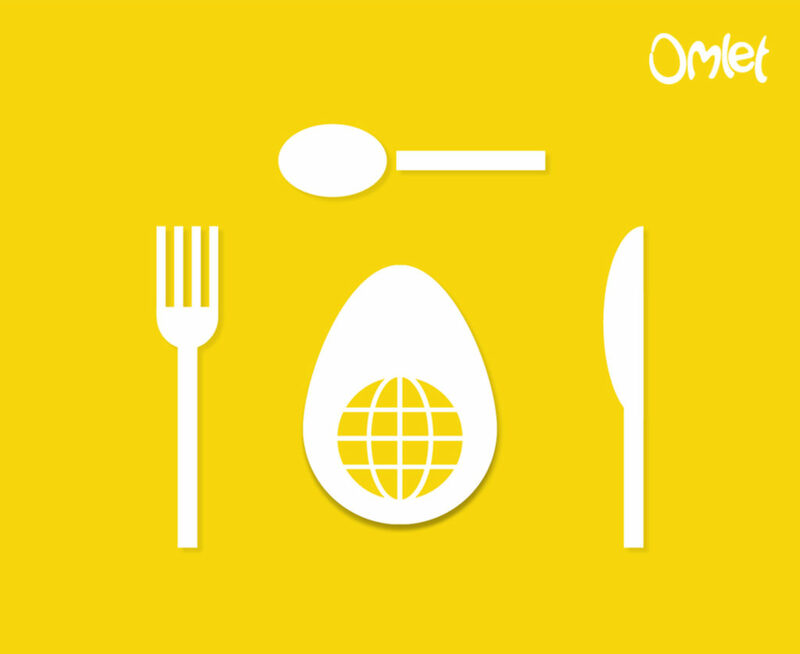 don’t panic, just sit back, relax and browse the Omlet website and if your order is over £50, delivery will be free! *Purchases must be over £50/€50 in total. Offer applies to Standard Delivery Service only. Quote Promo Code SANTAPAWS at checkout to claim FREE Delivery on your order. Subject to availability. Omlet ltd. reserves the right to withdraw the offer at any point. Omlet cannot take responsibility for third party supplier delays such as courier service. Offer excludes the following items: Marriage’s Organic Layers Pellets – 5kg, Marriage’s Organic Mixed Corn – 5kg, Marriage’s Organic Starter Crumb – 5kg, Marriage’s Organic Growers Pellets – 5kg, Feed – Farmyard Layers Pellets – Non Organic 20kg, Organic Omlet Chicken Feed 10kg and Mixed Corn 10kg, Organic Omlet Chicken Feed 10kg Twin Pack, Organic Omlet Mixed Corn – 10kg, Organic Omlet Chicken Feed 10kg, Marriage’s Organic Layers Pellets – 20kg, Marriage’s Organic Mixed Corn – 20kg, Lenham Chicken Coop by Forsham Cottage Arks, Aubiose Bedding – 20kg, EcoBed Cardboard Bedding 20kg. Biolink BioDri Absorbent Powder 5kg, Easichick Bedding 10kg, Pillow Wad Mini-Bale Wood Shavings Large 3.6kg, The Beehaus Beehive – Yellow and The Beehaus Beehive – Green. Designed like a piece of contemporary furniture, the fantastic Fido Studio is more than just an indoor dog crate. It’s the perfect compliment to your home and fulfills your dog’s natural instinct to have a den that they can call their own. Fido Studio is available in white and walnut in a 24″ and 36″ size. 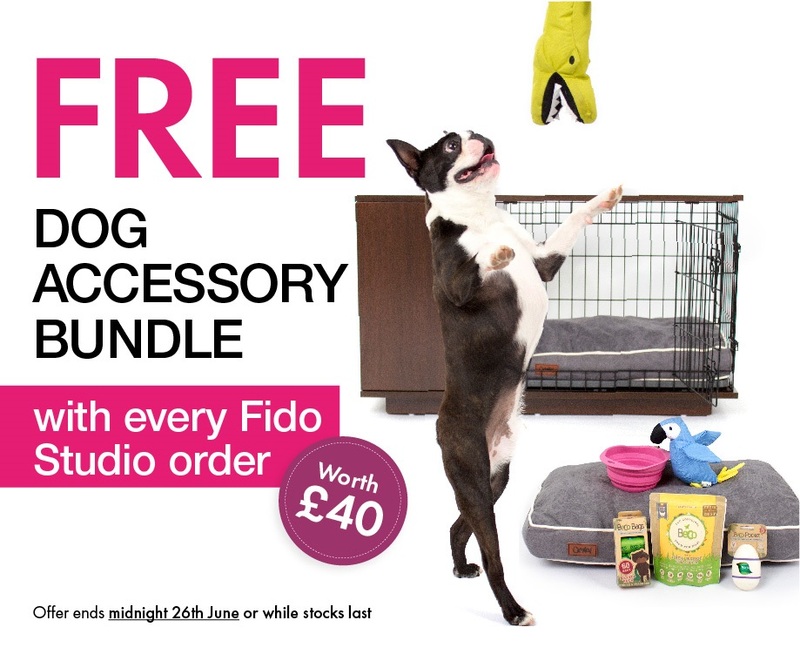 Maximise the potential of your Fido Studio with our fantastic contemporary range of Fido Accessories! From a handy Clothes Rail to elegant Storage Boxes, Stylish Wardrobes to Oh-So-Cozy Beds, we’ve got the perfect range to suit any pooch in any room of the house! 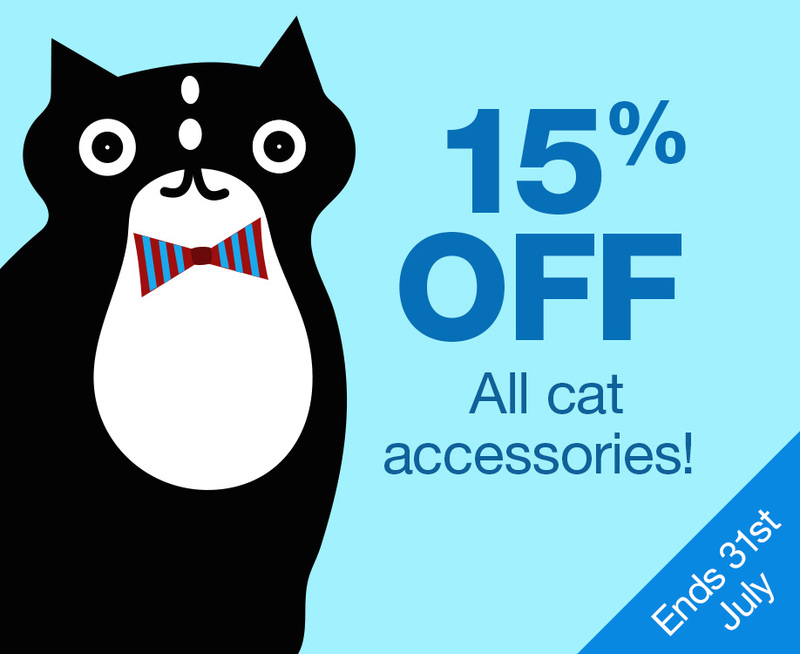 Hurry… This offer ends at midnight tonight! How do you like your eggs in the morning?! To celebrate World Egg Day we are calling upon all of our Omleteers to help us raise some money for our friends at the British Hen Welfare Trust. All you need to do is post a picture of your daily eggs on our Facebook page, tag us on Twitter or Instagram. This can either be a freshly laid egg in your nest box or if you are feeling creative, get cooking and show us what delights you have rustled up! For every picture posted we will donate £1 to the British Hen Welfare Trust. To make sure your picture is seen make sure you either upload it on this post on Facebook or tag us on Twitter or Instagram. The British Hen Welfare Trust is a national charity that re-homes commercial laying hens and encourages support for British free range eggs. World Egg Day is celebrated every year on the second Friday in October. On World Egg Day, events are held across the world celebrating the egg. The first World Egg Day was celebrated in 1996 and since then we have seen a variety of wonderful events taking place internationally, with people enjoying and celebrating the wonderful versatility of the egg. Eggs have a vital role to play in feeding people around the world, in both developed and developing countries. They are an excellent, affordable source of high quality protein, with the potential to feed the world. Whether you celebrate World Egg Day every year, or this will be your first time, make sure that this year on Friday 13th October, you get cracking and help to make this World Egg Day the biggest and the best ever. All photos must be received by midnight on Friday 13th October. All photos must be received by midnight on Friday 13th October. Photos are only valid from social media channels. £1 for every photo posted will be donated to the British Hen Welfare Trust up to the value of £1000 maximum. Omlet reserve the right to withdraw this offer at any point. It is only open to UK residents. 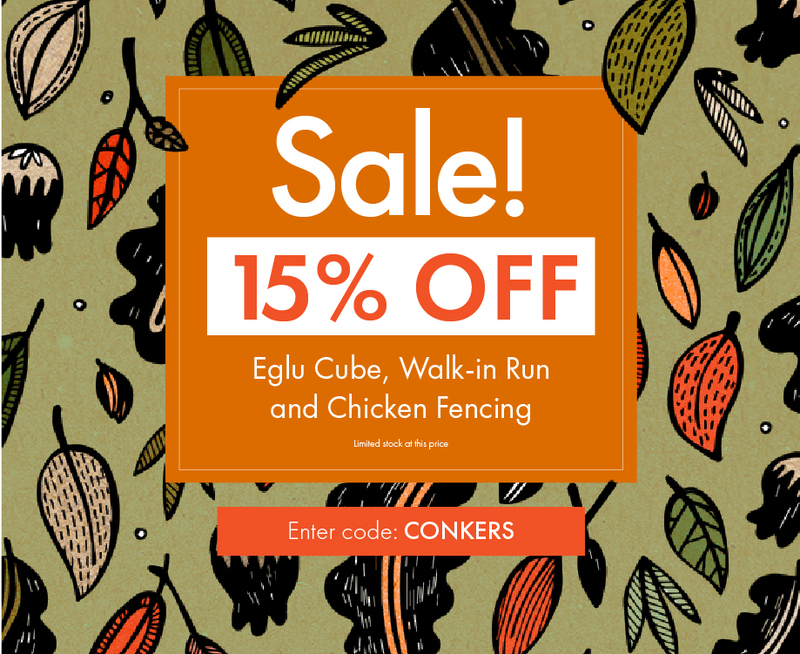 Hurry, there’s 10% off all Purple Eglu Go Chicken Coops and Purple Eglu Go Up Chicken Coops for a limited time! Simply visit our website and order – no promo code required, the prices have already been discounted. 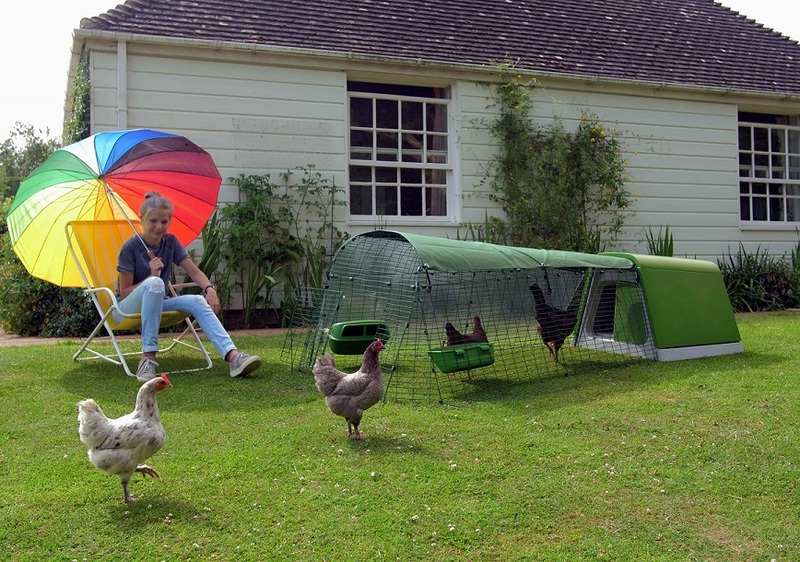 Order the Eglu Go in purple today and save from £25 – click here to find out more! 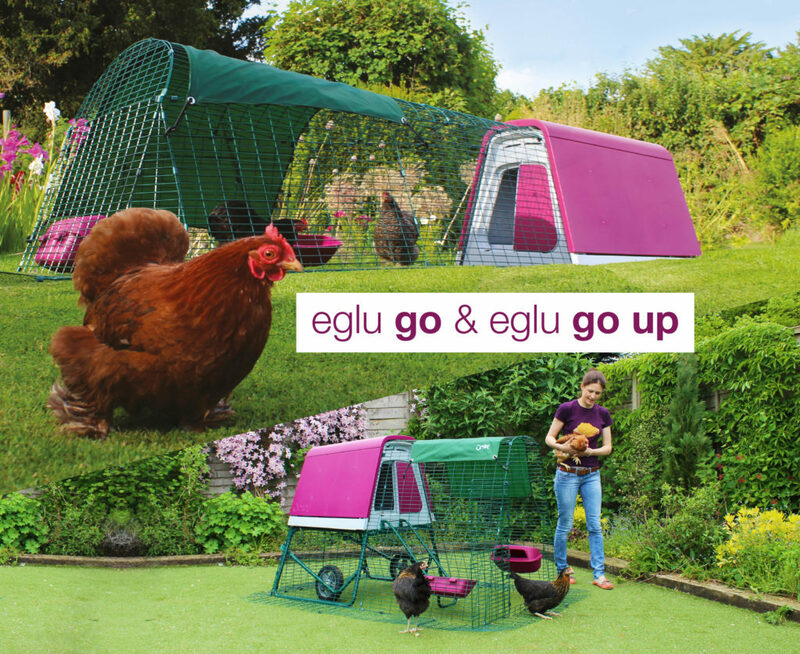 Fancy the Eglu Go Up in purple? Click here to order and save from £30! 10% off promotion is only valid for a limited time – Discount has already been applied to the products when you order – no promo code required. Subject to availability. 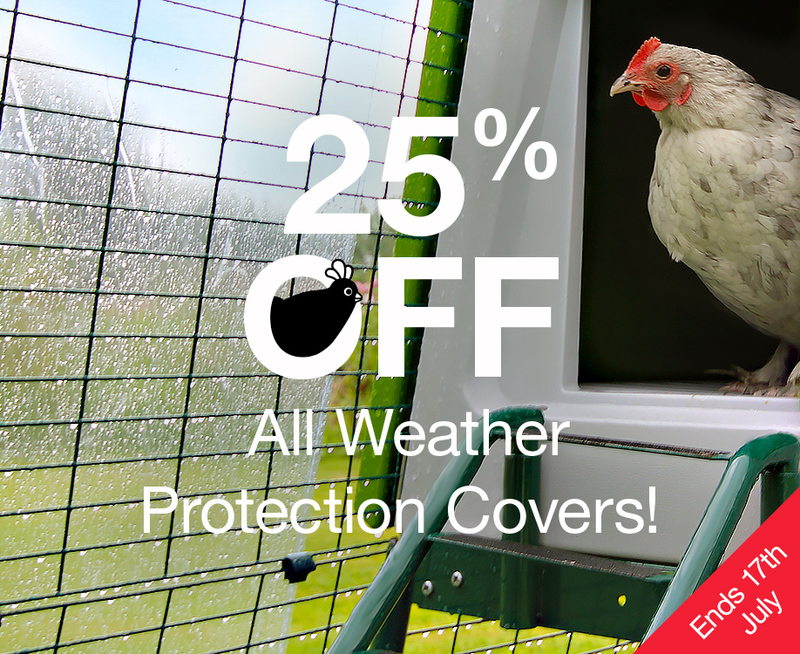 This offer includes Purple Eglu Go Chicken Coops and Purple Eglu Go Up Chicken Coops only. The offer excludes green chicken coops. Omlet ltd. reserves the right to withdraw the offer at any point. Discount cannot be transferred to delivery or courses. Offer is only valid on fully priced items and cannot be used on existing discounts or in conjunction with any other offer. Get a FREE Cream Egg Skelter 24 (worth £19.99!) with every purchase of the Brinsea Maxi II Ex or Brinsea Maxi II Eco Incubator. Free Cream Egg Skelter Offer is only valid from 21/8/2017 – midnight on 11/9/17. 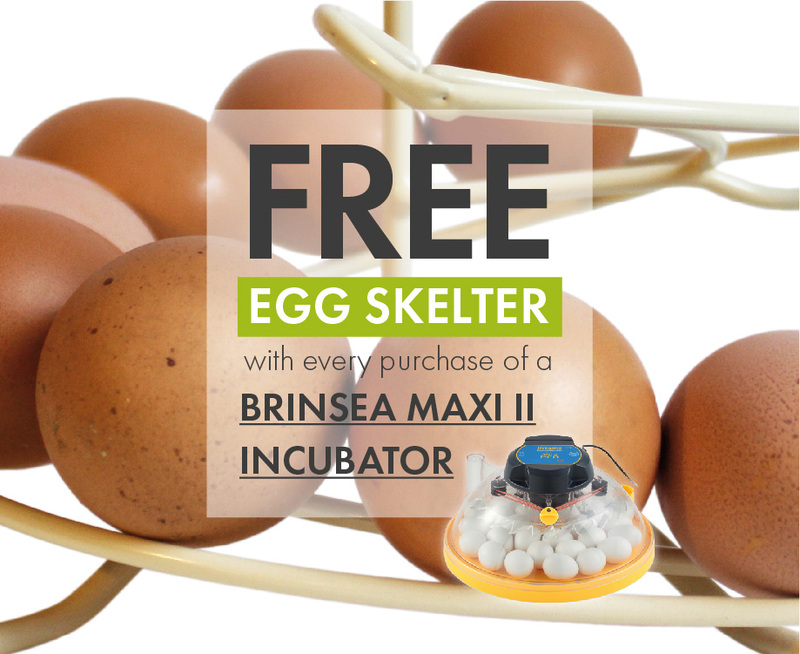 Free cream egg skelter 24 (for medium to large eggs) is only valid when buying the Brinsea Maxi II Eco Incubator and the Brinsea Maxi Ex incubator. Quote EGGSKELTER. Subject to availability. Omlet ltd. reserves the right to withdraw the offer at any point. Offer cannot be used on existing discounts or in conjunction with any other offer.